In an increasingly competitive business world, maintaining edge on a local and international scale has become more challenging. That is why trade fairs and B2B meetings are imperative to put organizations on the map and help them stretch their reach to audiences in foreign markets. However, when it comes to delivering superior exhibitions that provide maximum value, not all organizers are created equal. 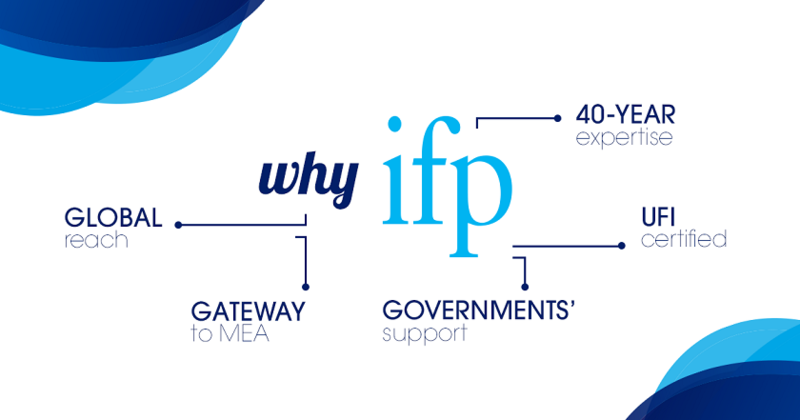 IFP Group (International Fairs and Promotions), prides itself for being a pioneering trade fair organizer in the Middle East region, powered by 40 years of expertise and more than 500 first-rate B2B and B2C exhibitions and conferences under its belt to date. Reinforced by profound industry insights and a keen eye for developments in the region, the company’s events harbor an ideal environment for small, medium, and multinational companies to unravel business opportunities, discover latest technologies, promote and sell their products whilst nurturing relations with existing clients. IFP Group’s specialized events and world-class conferences provide a networking platform for exhibitors, sponsors, speakers, and delegates to meet face to face, share expertise, make informed decisions and ink lucrative deals. Moreover, IFP Group’s leading events are certified by UFI; the global association of the exhibition industry that recognizes events of the highest standards, thus ensuring a world-class level of service and quality. 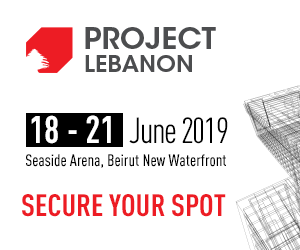 Operating in Lebanon, Qatar, Iraq, UAE and Egypt, IFP Group is favorably positioned to provide direct access to developing markets across the MENA region, within diverse industries. The company’s events cover a variety of industries including Construction & Real Estate, Energy & Environment, Agriculture & Food, Hospitality, Healthcare, Yachting & Leisure, Luxury, General Trade, Plastics & Print, as well as Oil & Gas. Fast market penetration: Access Middle East markets quickly and more efficiently. IFP Group’s events play a vital role in supporting and developing industries and are a profitable way to penetrate new markets efficiently and generate sales leads. opportunities and deliver considerable results. The right audience: IFP Group’s database of contacts is unrivaled in the Middle East, bringing together key international and regional buyers including leading names in the industry.